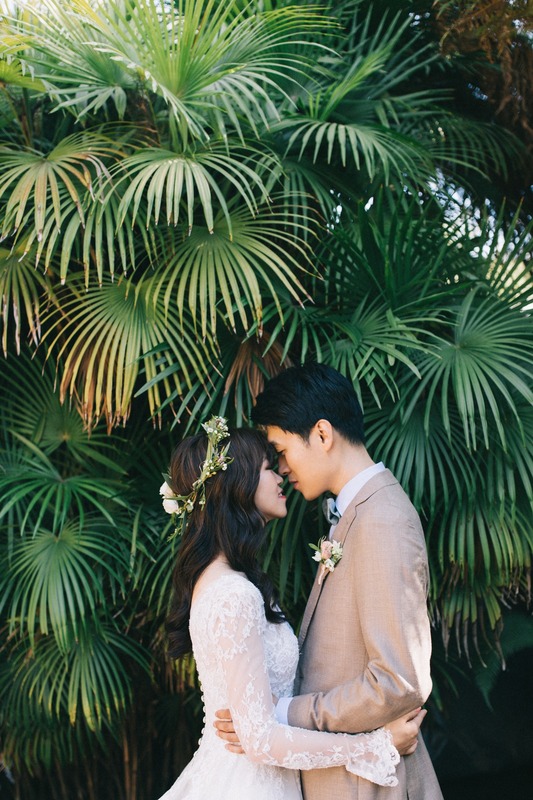 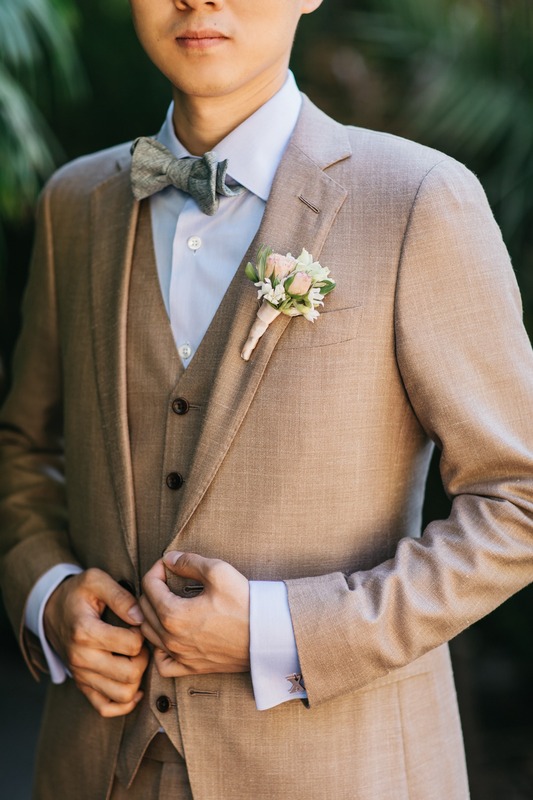 This sweet couple found the right balance between traditional and contemporary design for their chic wedding at UC Botanical Garden in California. 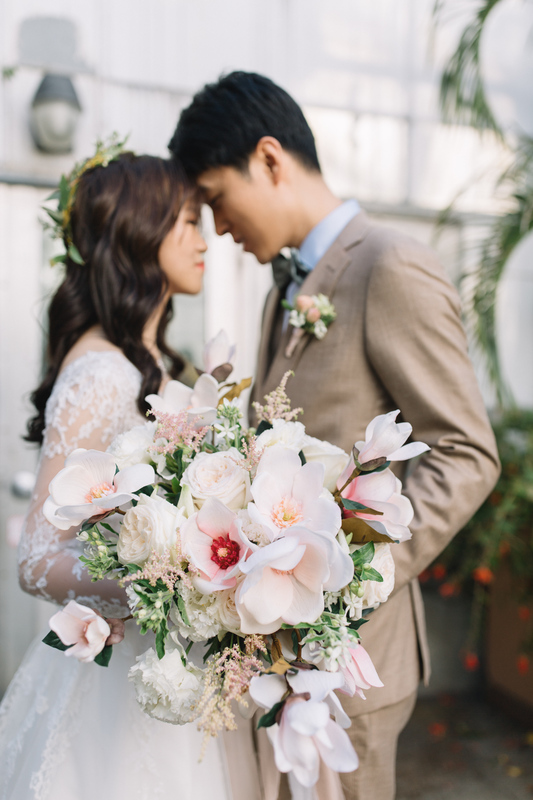 Their gorgeous day was all about the flowers, and would you believe us if we told you that all the magnolias you’re about to see are all made of SILK?! 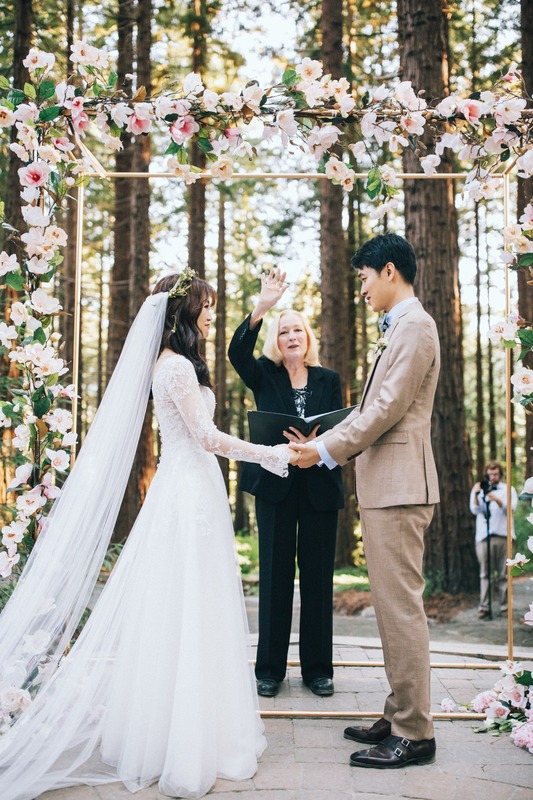 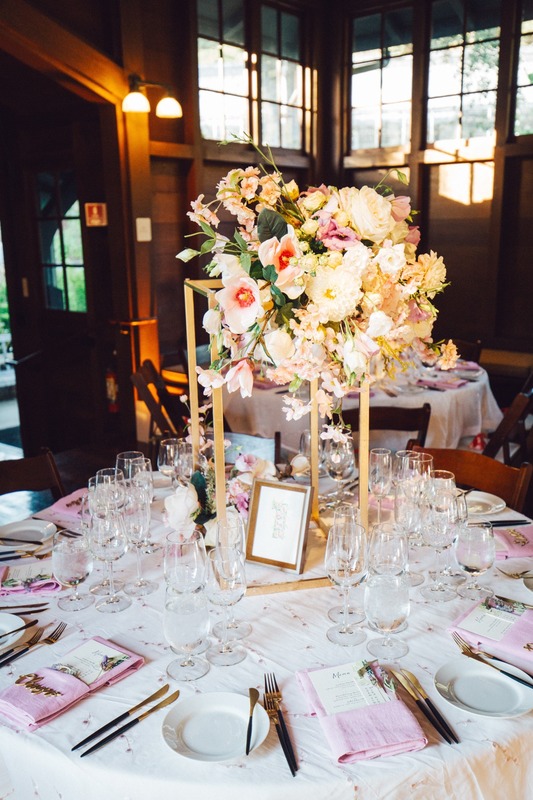 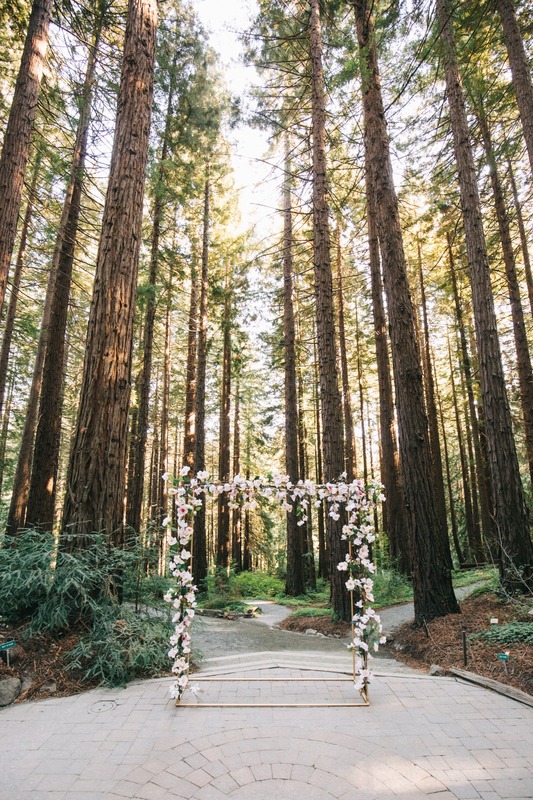 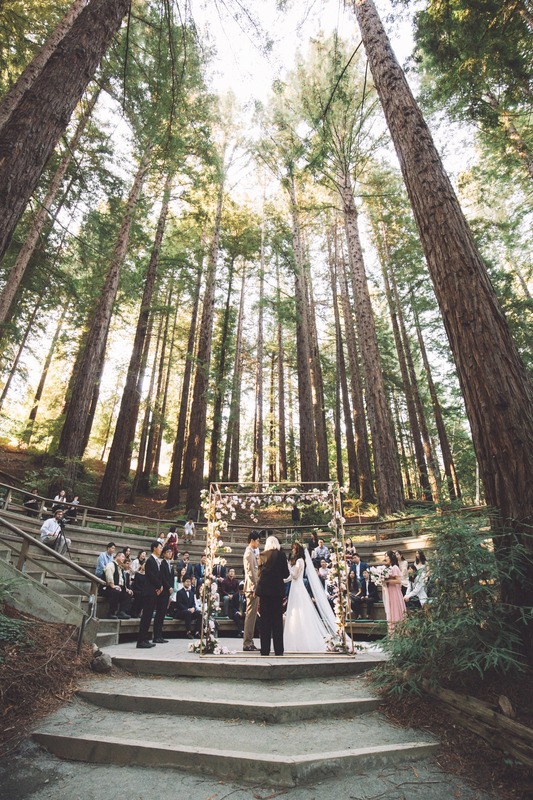 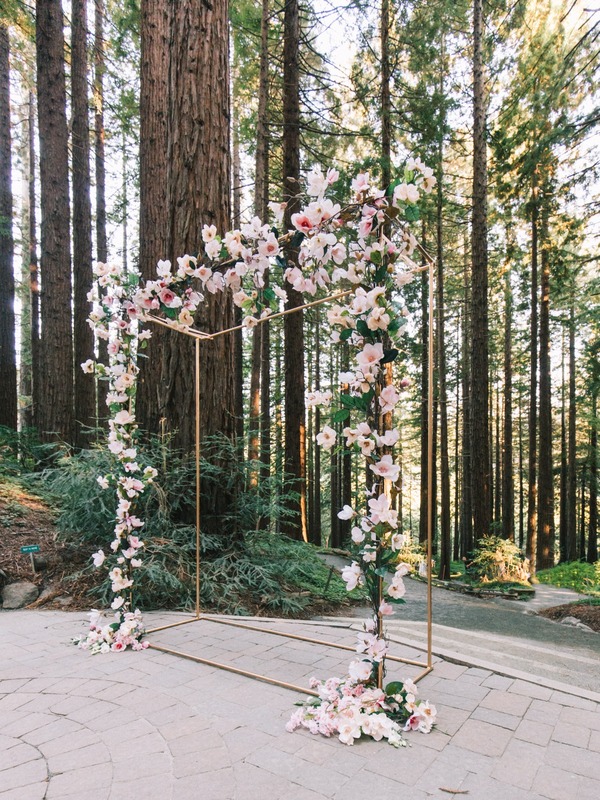 From her bouquet to the gorgeous ceremony arbor in the middle of the Redwood grove, hundreds of silk magnolias were mixed with cherry blossoms, seasonal blooms + greenery to bring the brides vision to life, and we are totally impressed. 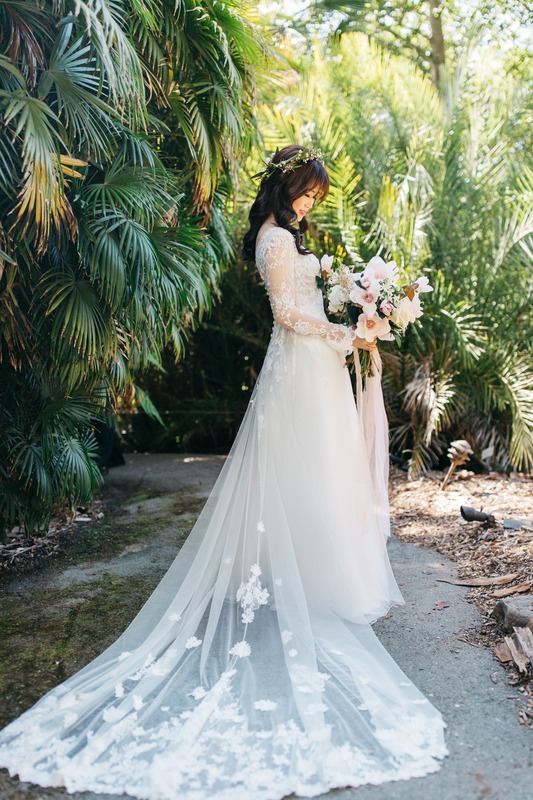 Kudos to the talented folks at Nicole Ha Design! 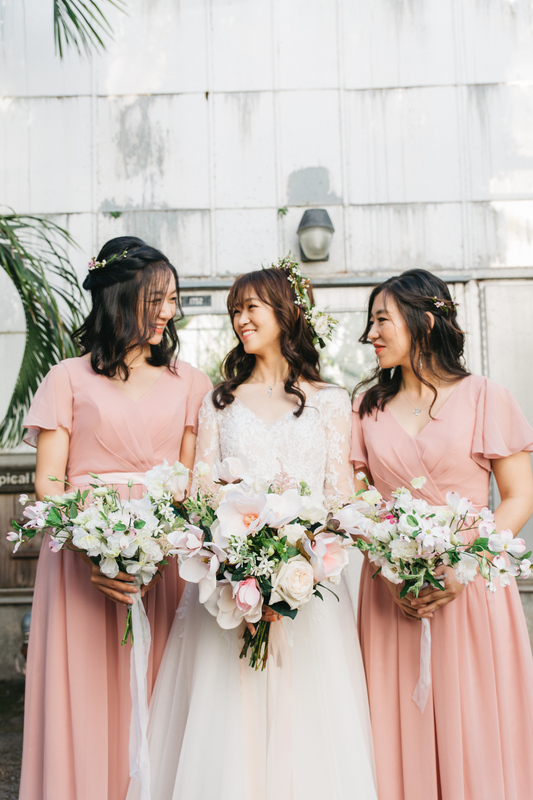 Read more about the style behind this wedding below, and grab an even closer look in the full gallery captured by Studio OPiA. 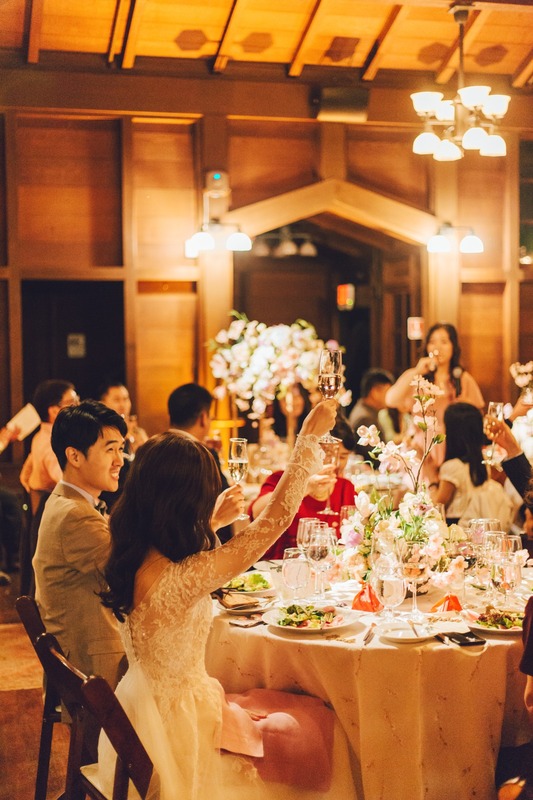 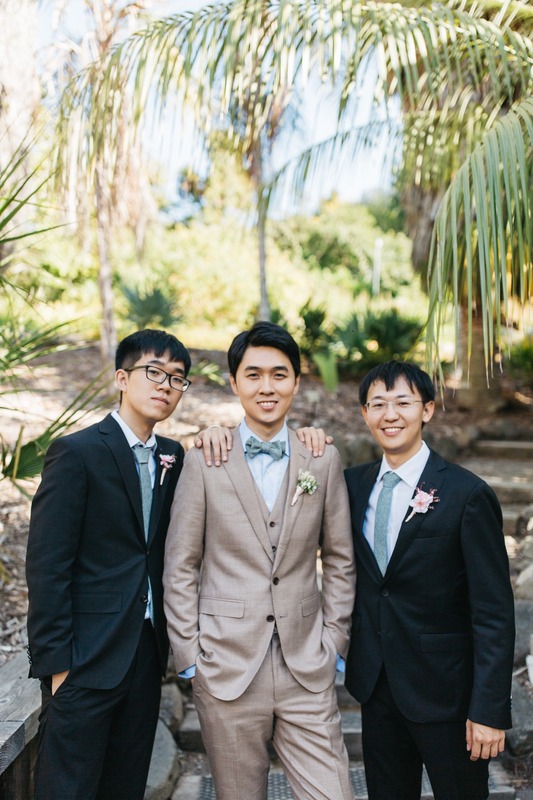 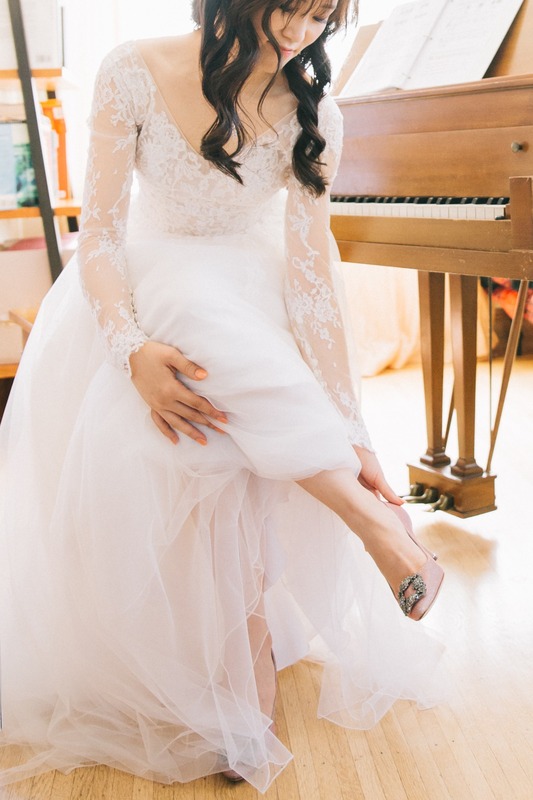 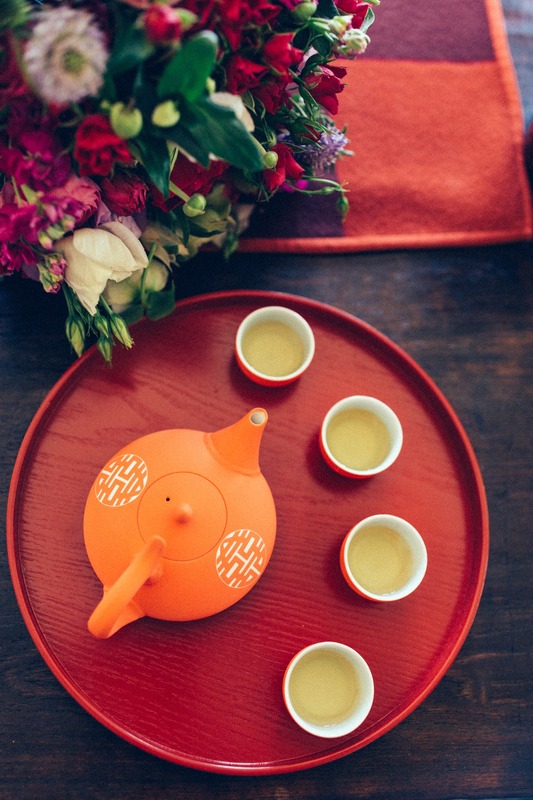 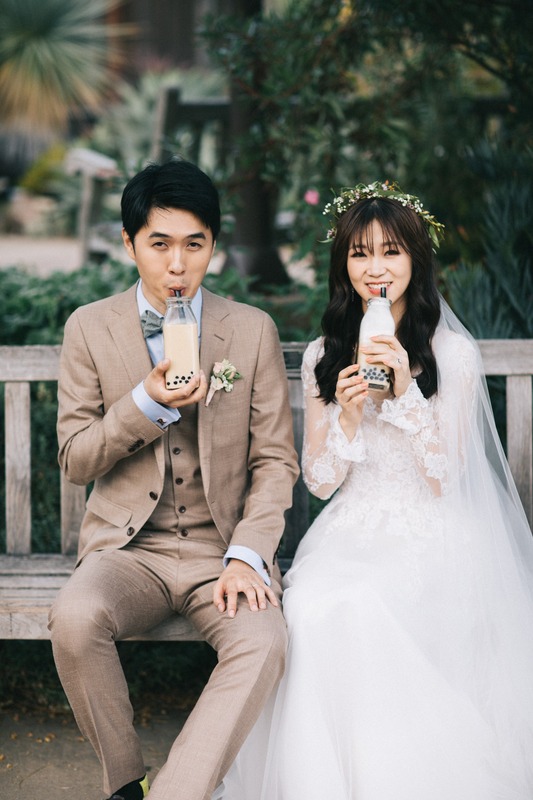 From Studio OPiA: As a Chinese couple living lives in the US, so much of wedding planning is about balancing the traditional with their own personality and tastes. 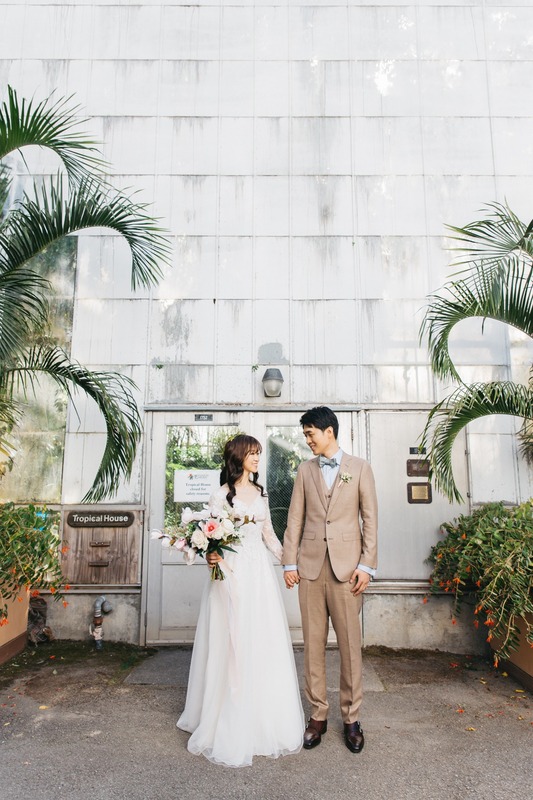 They wanted it to be contemporary, but also with the customary included. 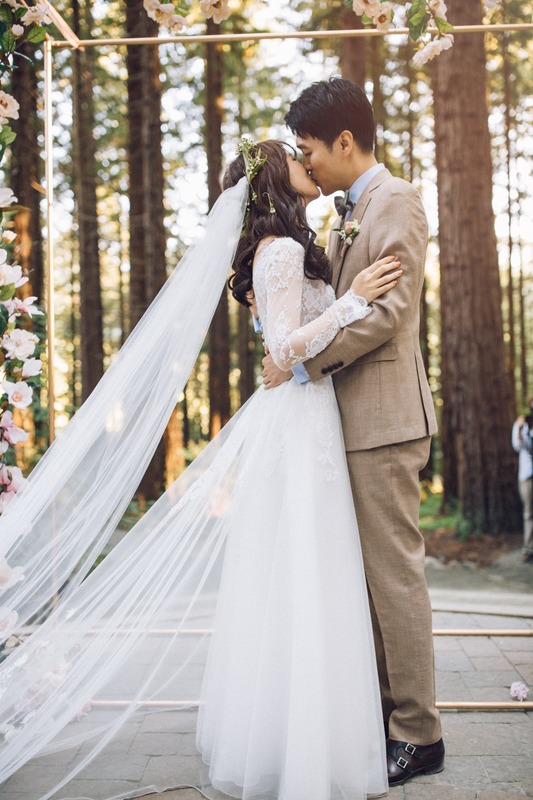 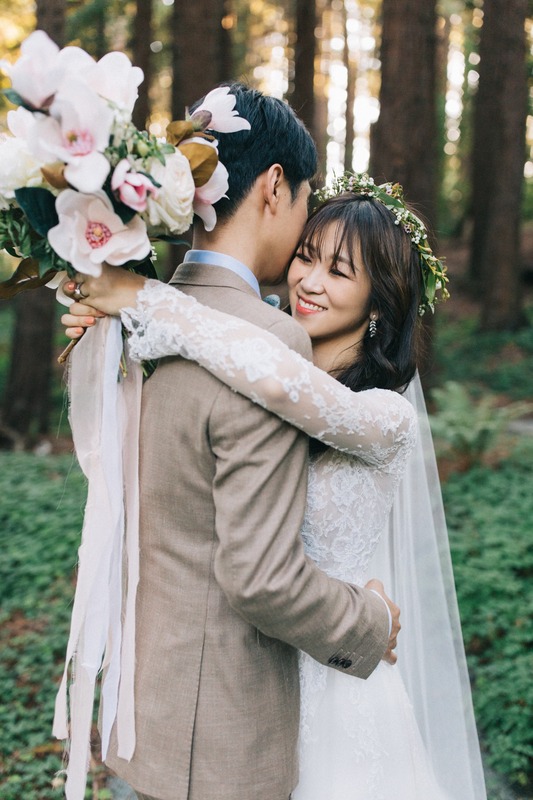 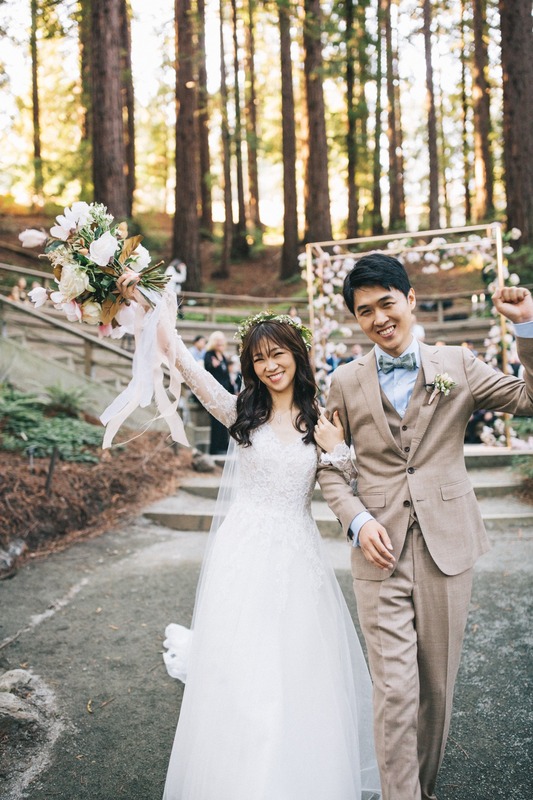 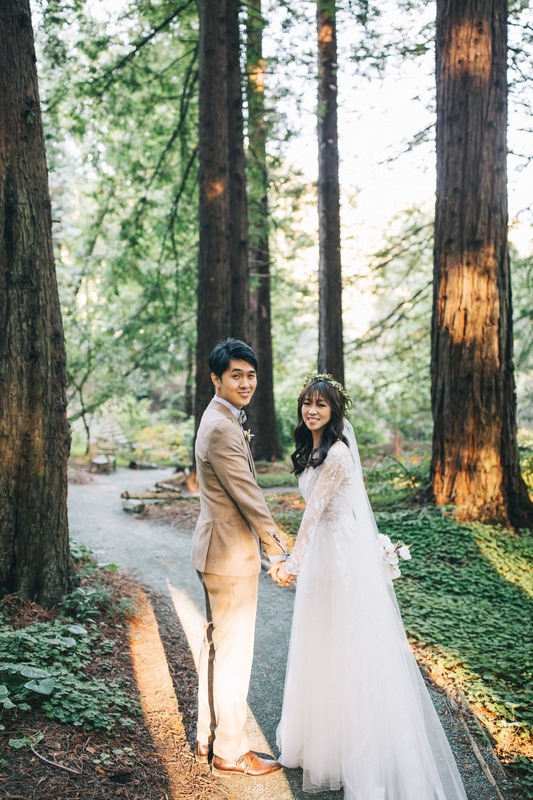 They wanted to have everything that they love and reflects who they are in the wedding, from the same type of red Chinese wedding dress which their parents got married wearing, to the vows under the redwoods in the perfectly styled white lace dress. 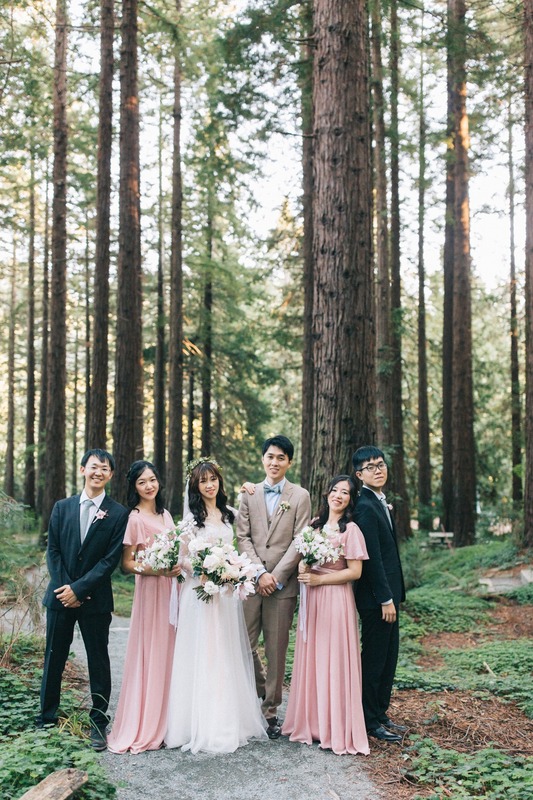 They wanted to be ambitious. 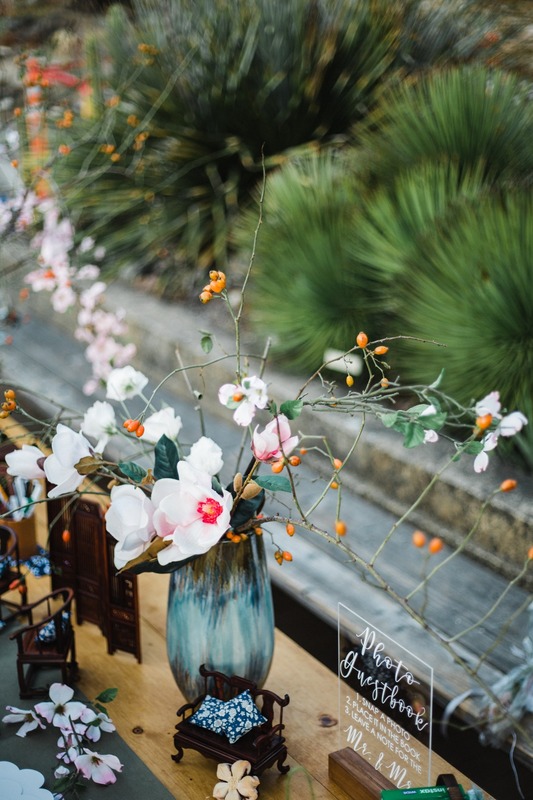 The themed flower, magnolia symbolizes the beauty and gentleness of women and means purity and nobility in Chinese culture. 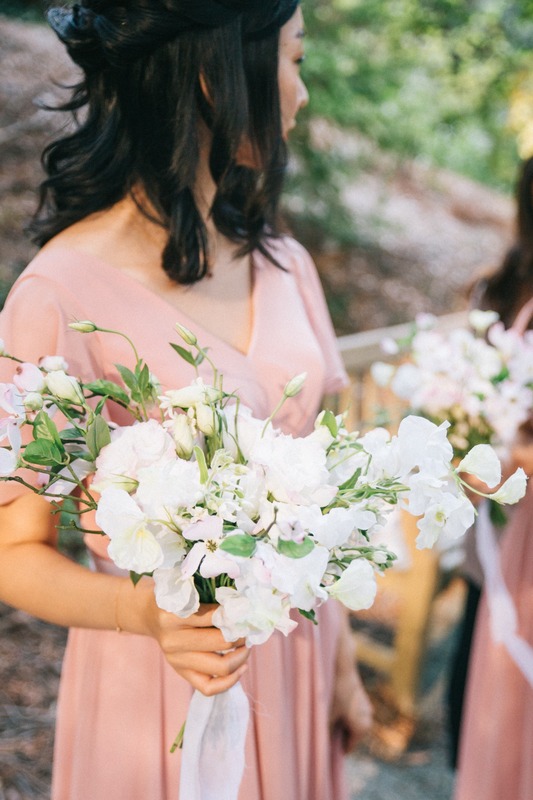 People often name girls after this flower. 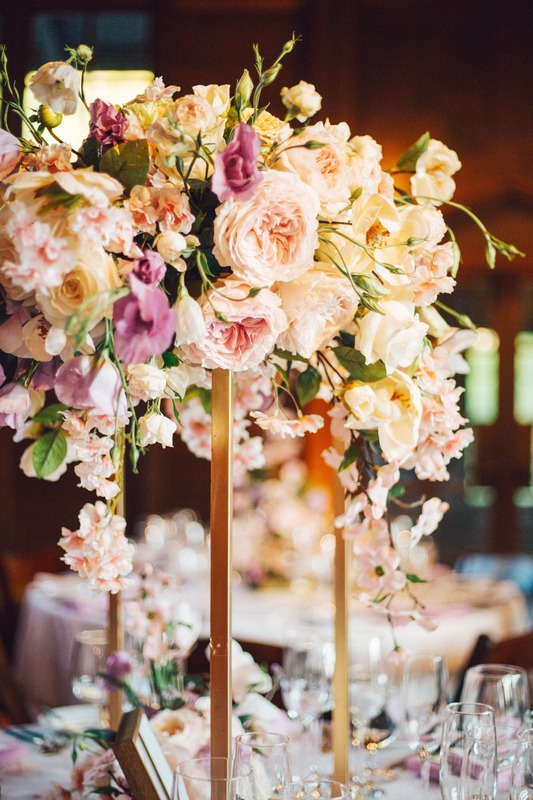 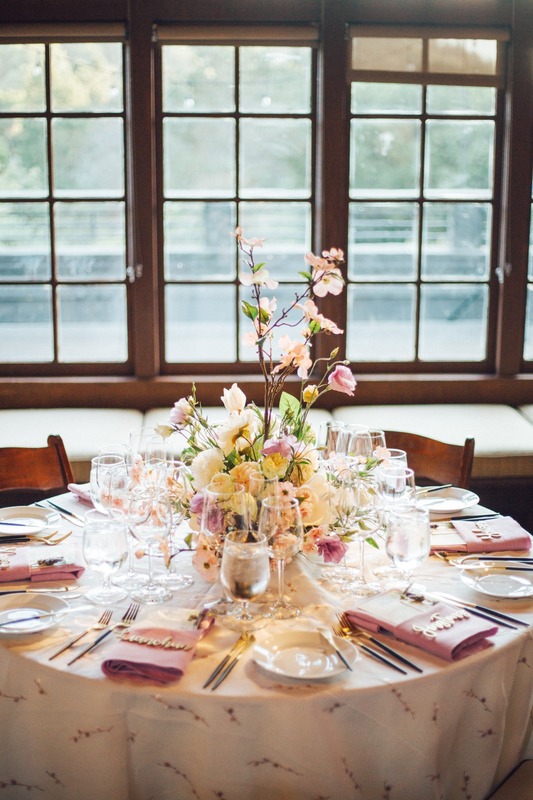 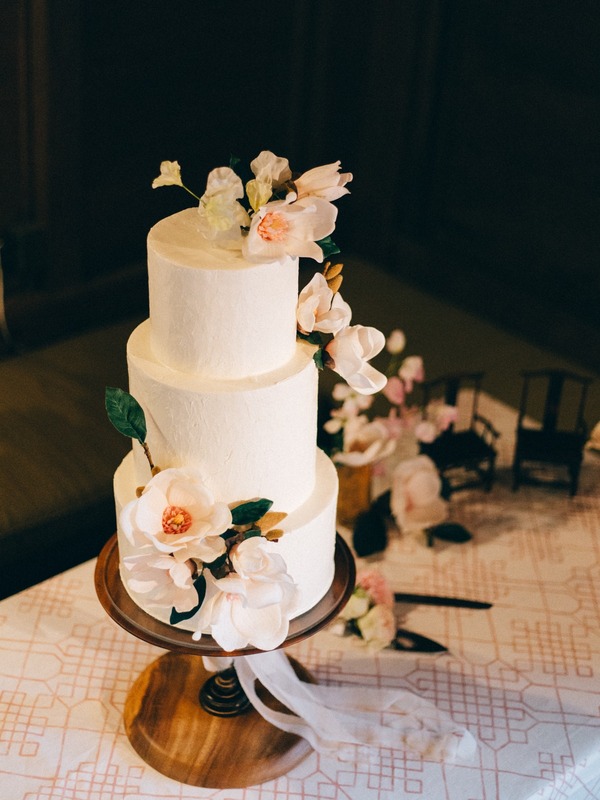 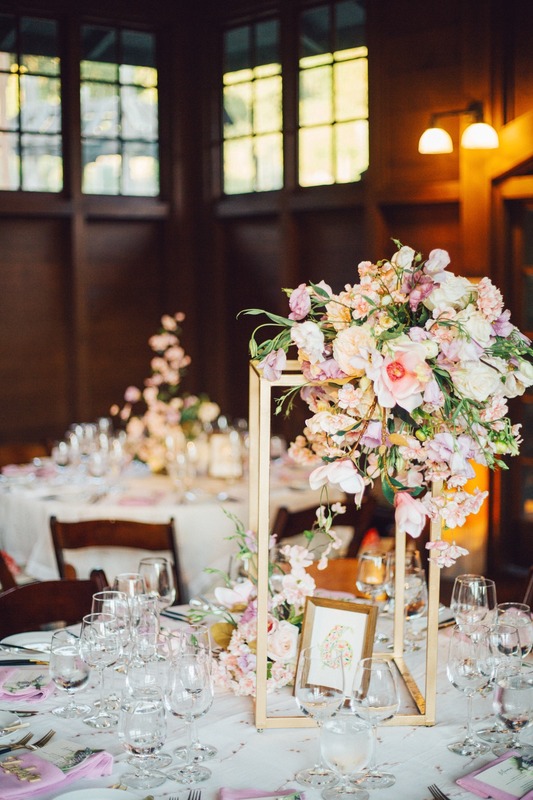 It wasn’t the season for Magnolias, but the florist made it happen by mixing hundreds of high-quality silk magnolias and cherry blossoms with other seasonal flowers and greens. 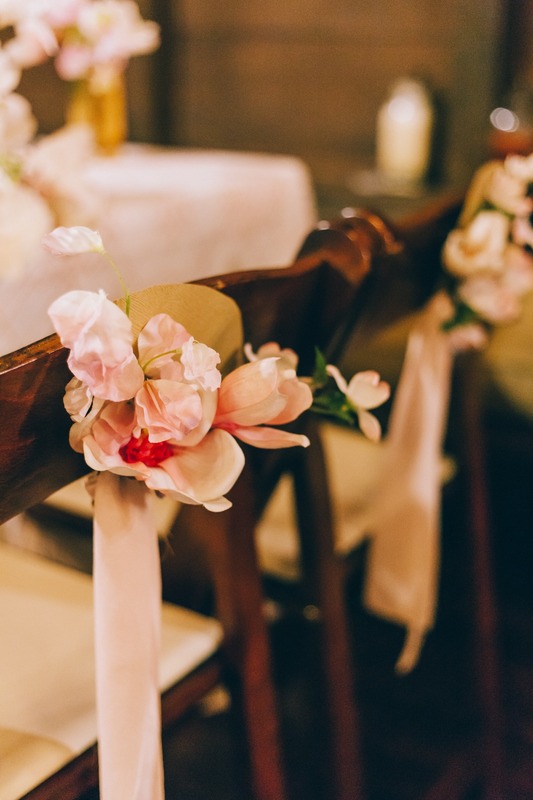 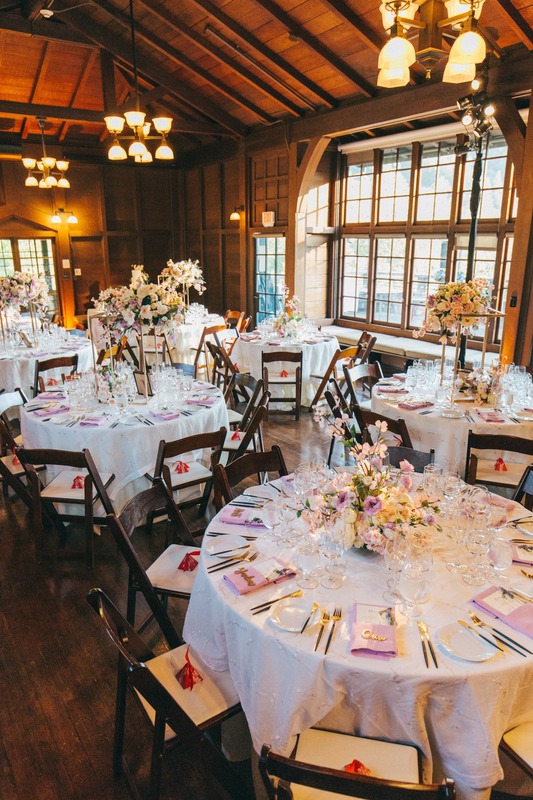 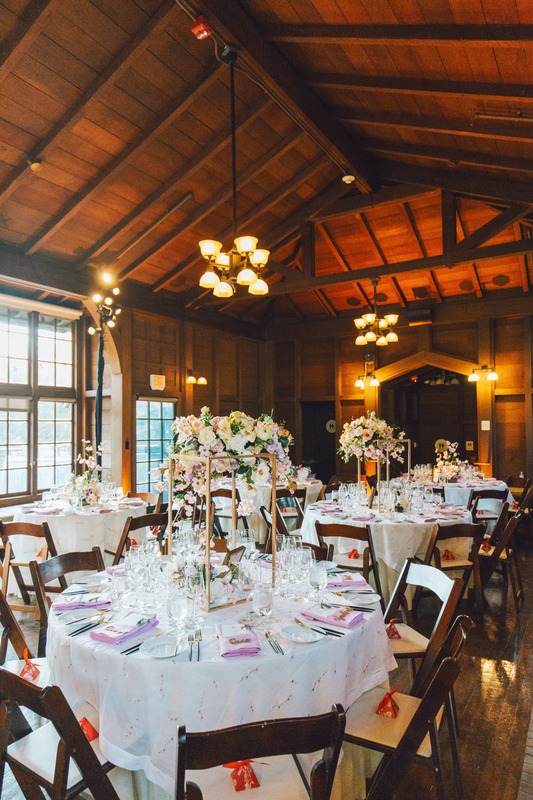 Magnolias were also perfectly featured through the wedding, from the morning robes to the wedding bouquet, from the welcome table to ceremony backdrop stand and sweetheart chairs. 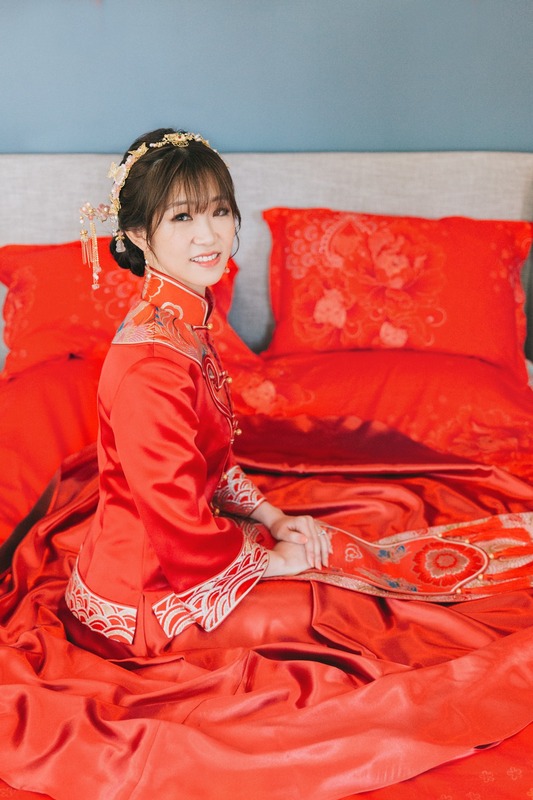 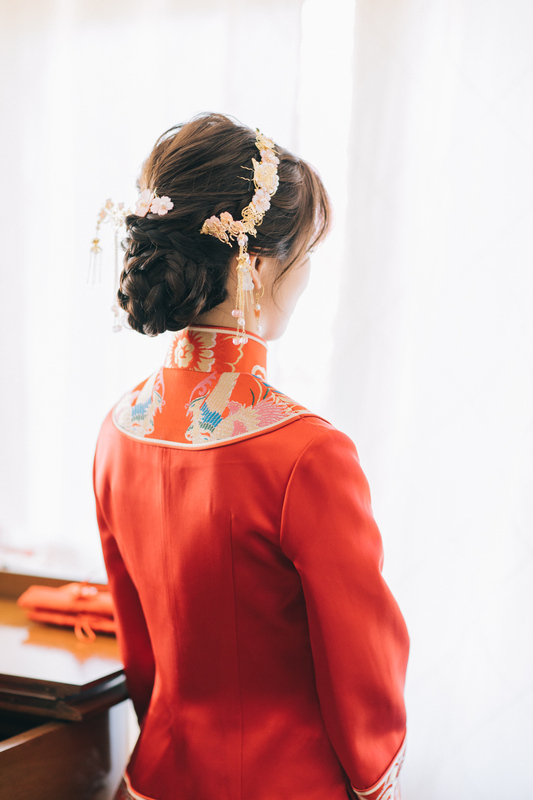 With working with the designer/planner, the couple decided to theme the wedding as Neo-Chinese style. 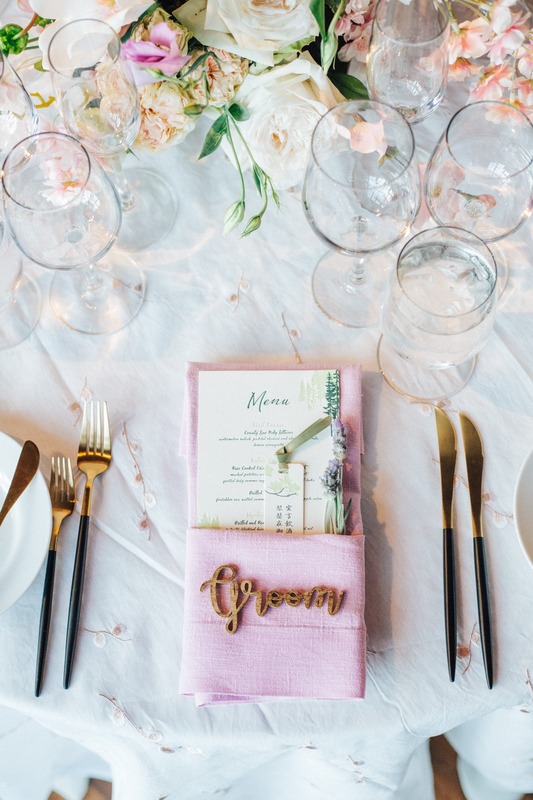 Seagreen, ivory and cherry blossom are the featured colors. 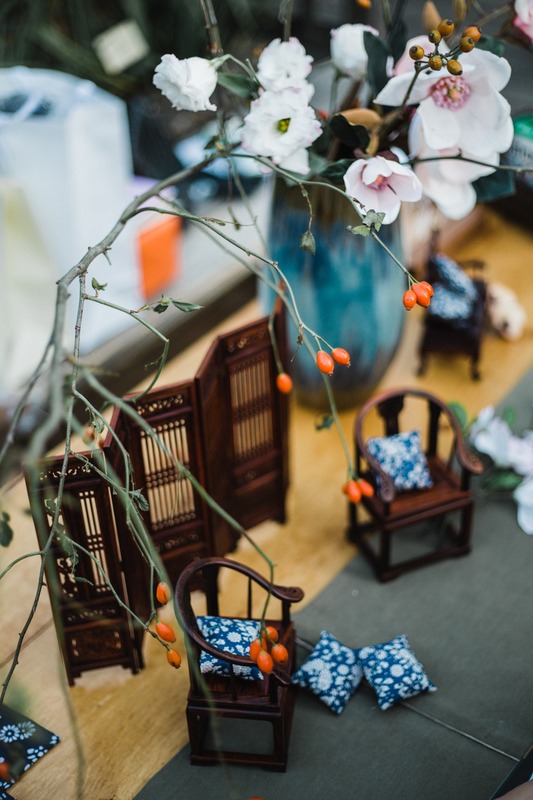 The highlight of the design was the flowers and the heart-melting miniature Chinese furniture.